Well, let's rephrase that - you don't really want to sell yourself, right? You want to sell your services, or products. Tangible things people can buy. Let's hope they are not trying to buy you! I read about this online a fair bit. For instance, bloggers who ask for payment to do product reviews or cover brand campaigns remind brands that ... the free stuff doesn't pay the light bill or put gas in the car. 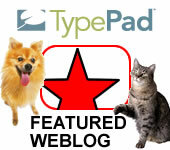 They also mention their commitment to the hard work of having a blog or of doing what they do. They have learned to be their own megaphone - "I'm a writer, I work hard at this blog, I pay attention to industry needs and new technology, and the time I spend covering brand events, products or services, is worth being paid for. I am not 'just' a blogger." It's great to see the kind of chatter around Facebook, Twitter, blogs, and other social media. It's encouraging to hear bloggers help other bloggers answer the question, "what do you say when a big brand wants you to write about them, and in return they'll promise free traffic on their big-name site?" No, you shouldn't write for free. Why do you write for free? Why do you allow the option of free product, which doesn't keep the lights on or contribute to the cost of veterinary bills, be your deciding factor in giving any brand free advertising? 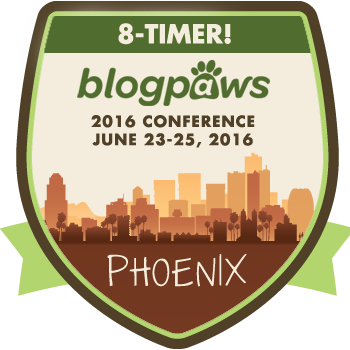 After the 6th Annual BlogPaws Event, which ended only a week ago in Lake Las Vegas, I see more bloggers being pitched than ever before. Generally, the pitch is, "I have free product for you." Or, "I have great content you can share." The bloggers who are still confused, want to accept these offers because... free product is, well, free product. If you don't have to pay for it, it's money in your pocket, right? Wrong. It's free advertising for the brand. Let's make no mistake. Brands have a good bit of 'free product'... they give it away as a marketing expense. If you are a blogger looking to monetize, remember that. They are expensing the cost of the product. You? You're providing a free marketing ad for them. An ad that would cost them thousands if not hundreds of thousands, in a pet magazine or a TV channel. And... when you blog about it, your post is evergreen - it's there for the world to see forever and ever (unless YOU remove it). An ad, placed anywhere, disappears after a time. UTI refers to urinary track infection. Many male cats suffer from this. I remember many, many issues around urinary track infections, back when I worked at the Cat Dr. It was mysterious then - though treatable. Dr. Grace and Dr. Larry share valuable insight here, including new dietary options. I hope you learn as much as I did and will share it with others. Highly recommended! Come back again for our next S&S Out Loud - to learn about Feline Diabetes. Great Scratchings & Sniffings podcast with Dr. Larry and Dr. Grace on feline nutritional needs. I'm often struck by the notion some folks have that our cats can eat dog food - or, that dogs are fine eating cat food. Or, that both can eat people food. Nothing could be farther from the truth. Most good pet people know this. But, some folks still cling to the idea that any food is okay, as long as it's food. This month's podcast with Dr. Larry and Dr. Grace is all about a new program at Purina's Veterinary Diets - Project Slim Down. It's really ONLINE at the link to the left. The project was developed as a resource to help pet owners slim their pets down to a healthy weight. Listen up and visit Project Slim Down today, on Facebook or the web. It's worth a look even if you're sure your dog or cat doesn't need sliming down. The videos are inspiring! Do share! Seems simple enough, but remember - your dog isn't MY dog. And My dog isn't...my neighbors dog. All dogs are not built alike. I loved the stories Dr Grace and Dr Larry told in this Scratchings and Sniffings Out Loud podcast. And, I learned some interesting facts. I'm betting you will, too. This week's Scratchings and Sniffings Out Loud podcast with Dr. Grace and Dr. Larry revolves around arthritis in our dogs. And, somewhat in our cats. Both animals are much like humans in the way they age - old age brings creaky bones with it. In our podcast, we learn that exercise and diet go a LOOOooonnggg way to heading this off at the pass. While arthritis is not preventable, we can "treat" it - at least make ourselves and our pets more comfortable. Better yet, with the proper diet and exercise, old age doesn't have to make us old. How Much Do I Feed My Dog or Cat? In this week's Scratchings and Sniffings Out Loud we learn about diet amounts - how much food should we be feeding our dog or cat? The amount on pet food lables is just a guideline. Dr. Larry and Dr. Grace help us understand the pets' needs according to size and activity. It's definitely comparable to how we feed ourselves - sometimes less is more. Colostrum or Mother's Milk - How Important is it? In this session of Scratchings and Sniffings Out Loud, Dr. Larry and Dr. Grace educate us on colostrum - or "mother's milk" as many of us know it. I found this discussion interesting and informative, as usual, but the main thing that really makes it worthwhile for anyone is the announcement that there is a pet food with colostrum in it, now. An important ingredient that provides great health benefits to not only puppies and kittens, but dogs and cats with dietary issues. Let's let Dr. Grace and Dr. Larry explain it - they do a better job than I do!